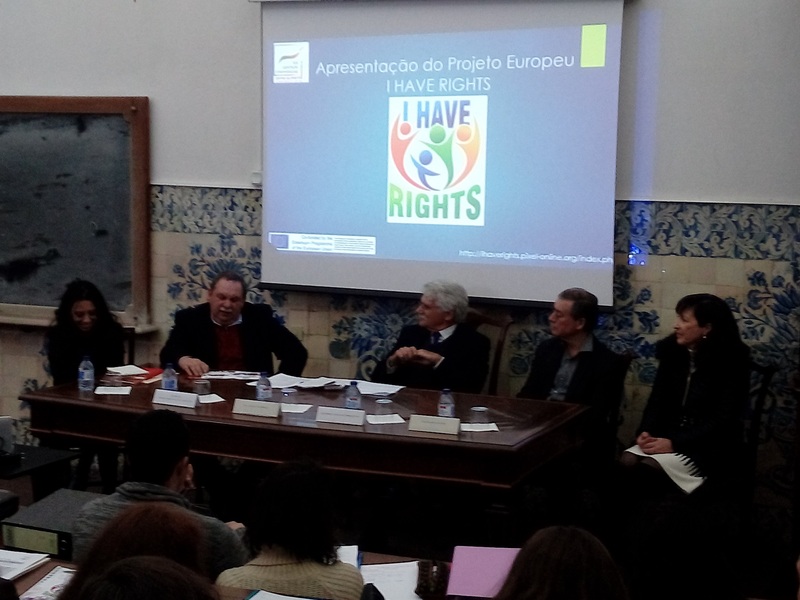 National Presentation of the Project "I Have Rights" - Coimbra.Portugal. The IGC/HRC (Human Rights Centre) team presented the Project "I Have Rights", with the presence of the school partners and the Councillor for Education of Coimbra. The majority of the public was specialised in human rights issues. Participants showed interest in participating in the project as volunteers.